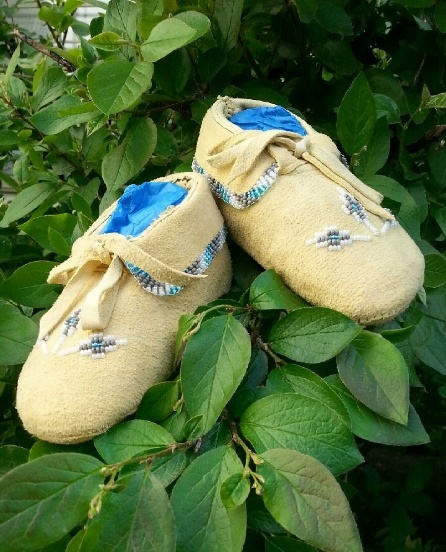 In celebration of Aboriginal Awareness Week, the Elizabeth Fry Society of Calgary and Calgary Alpha House are joining together to support reconciliation and awareness through an event that will teach the tradition of moccasin making. Come walk a mile in our moccasins, and learn the tradition of moccasin making through community connection and cultural teachings. Indigenous moccasins were a nearly universal element from tribe to tribe, with distinctive features and subtle patterns among the various tribes. Indigenous people could often tell each other’s tribal affiliation simply from the design of their shoes. Authentic Indigenous moccasins are made with all natural materials that signify a historical connection to the land. Creating authentic Indigenous crafts builds a genuine cultural connection that’s crucial in rebuilding relationships between Indigenous and non-Indigenous people. Registration is limited; call 403-294-0737 to secure your spot. 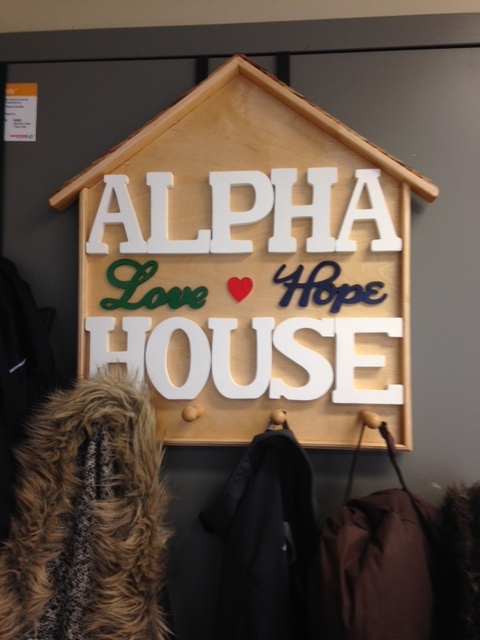 Participation supports both Alpha House and EFry Calgary’s Indigenous Programming. It takes a certain type of person to work at Alpha House. There is a level of passion and heart that has to be present within someone in order for them to stay in the work. Addictions can cause many complexities in an individual’s life. The work is often heavy, and can take from you both mentally and physically, but in the same breath offers many blessings. Within these walls we bandage scrapes, mediate disagreements and try to help mend hearts, all while trying to influence change in people’s lives. A listening ear or thoughtful words can do so much because often that’s all people want is someone to listen, someone to care. Everyone has a story and deserves the gift of human compassion, the feeling that when the roads are rough there is still a collective of people who will never stop caring, that will never give up. Chrissy was one of those people, but she was more than that even. Chrissy was a person who made you want to always be a better person. No matter the circumstance, Chrissy always remained so patient, so kind, and so genuine. Her heart for the work was evident from early on at Alpha House. Chrissy handled every situation with such good intentions, and always maintained a sense of calm about her, even in the most chaotic situations. Chrissy always found the silver lining that would make you know it was all going to be okay, and that the work we do has a purpose – to spread love not hate. Chrissy’s smile and the little giggle that went with it…this woman was the definition of a beautiful, genuine, all rounded human being. 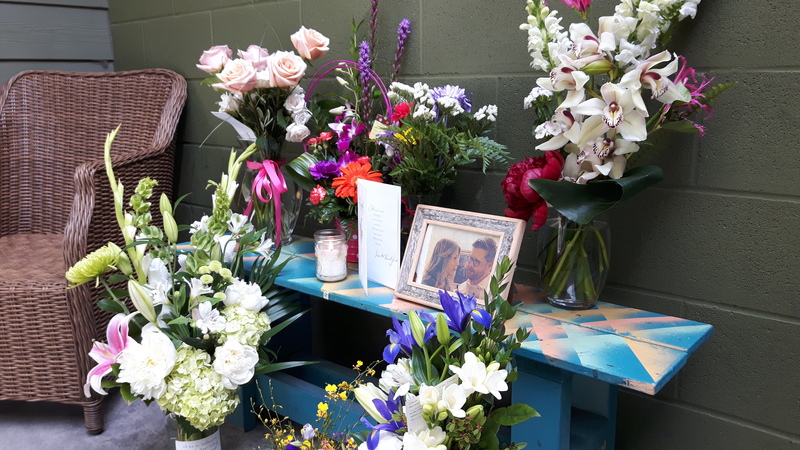 Chrissy showed her passion and love for the people she served through the countless hours she would sit with clients and let them talk about anything they needed to talk about. She always gave them that time to feel important and to feel heard, never needing to raise her voice. Chrissy cared so much for everyone, taking the time to make every person feel like they were valued. The world has suffered the loss of a beautiful soul. Chrissy reminds us that we need to be more kind to each other and spread love throughout our communities. 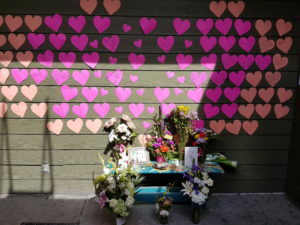 If more people in this world embodied the spirit and accepting nature that Chrissy did, this world would be so much easier, and so much more bearable for everyone to live in because love and acceptance really do change everything. 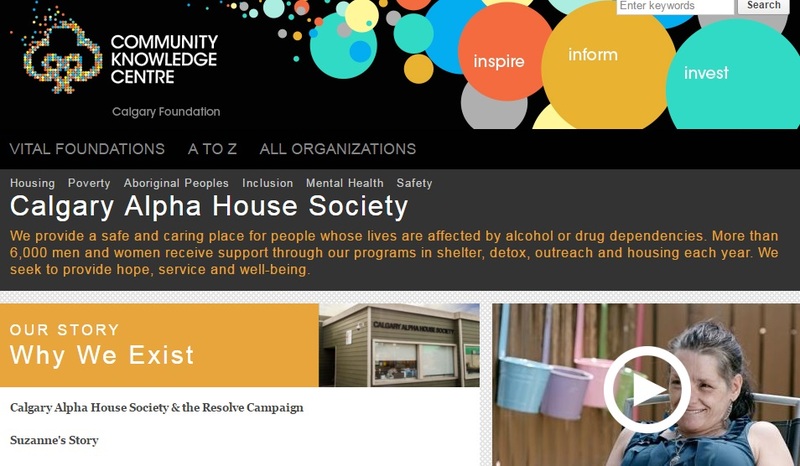 We are pleased to have a page on the Calgary Foundation Community Knowledge Centre, which is a resource that connects you to the outstanding charitable organizations who serve our community. Be inspired by compelling stories. Be informed of innovative work. Be connected to the issues. Be responsive to the needs. It is great way for people to learn about what we do and how they can help our community work.